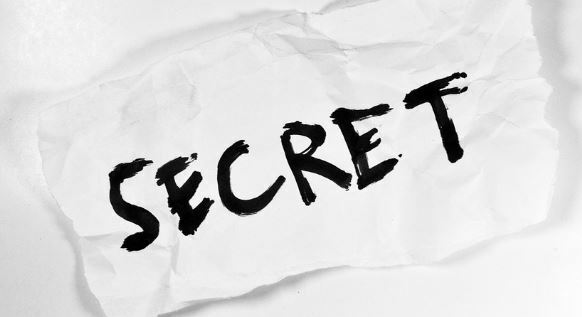 Many ideas in the investment community start in the academic institutions where researchers attempt to unlock the mysteries of the stock market. Every year, papers are published with theories about why and how markets work. This is almost certainly an area that many individual investors fail to make full use of. And, there’s good reasons for that. Individual investors are often busy with full time jobs that are not in the financial services arena. They can not dedicate a great deal of time to their projects. This means they may focus their limited time on actionable information. That might include brokerage research reports and financial media news sites. This is enough information for many investors to manage their investment accounts profitably. But, it is just one source of valuable information and it is not, all the time, the source of new ideas. Many research reports and articles about investing cover the same ground, over and over again. Academic researchers often seek to break new ground. Their goal is not necessarily profits in the markets as much as it is to write papers that can be published and help them achieve tenure. This frees them, in some ways, to consider ideas that are outside of the mainstream. But, the research may take time to sift through and time is a limited resource for individual investors. Typical of research is the chart shown below. It demonstrates that there is some advantage in screening for stocks with certain characteristics. The table shows the statistical properties of stocks with varying levels of value (value compared to growth), volatility (measured with beat), momentum which defines recent performance, and profitability and return on equity which show the quality of the stocks. This also makes academic research an important source for innovative investment ideas. In many papers, investment ideas are defined as factors. They then note that value (low price to earnings (P/E) ratios, for example), size (the market cap of the company grouped from small to large), momentum (a measure of recent performance), and volatility (how the individual stock trends relative to the broad market) are among the most important factors. These ideas are widely employed by large investors. Barron’s recently reported on the use of factors by professional investors. Factor investing was defined as the use of stock characteristics like size or style to make investment decisions. One way to use factors is to tilt a portfolio. They then shared results of a survey recently completed by Invesco. The firm recently surveyed more than 300 institutional and wholesale investors, including pension funds, insurance companies, private banks, and financial advisors, about how they view and use factor investing. They found that factor strategies still represent less than 20% of their equity and fixed income allocations, according to four out of five respondents. But it’s taking funds away from both active managers and traditional market cap-weighted indexes like the S&P 500. “From one aspect, investors are starting to understand that there are systematic drivers of excessive returns that their active managers produce, so they start to look into the same strategies at a lower cost or more transparency,” explains Vincent De Martel, strategist at Invesco. While there are dozens of factors, value is still the most popular factor, despite its continuous underperformance over the past decade. It’s used by eight out of 10 respondents, and the rate is even higher in the North America region. To De Martel, that’s a good sign. “You might have all these marketing and buzz around factor investing, but investors are not swayed by that,” he told Barron’s. In the survey, about 60% of respondents said they intend to increase allocations to factors over the next three years as the performance of factor strategies has been largely in line with or exceeded expectations. “The claim of factor investing to be able to exploit market opportunities in a systematic and low cost manner has been borne out to a significant degree,” De Martel writes in the report. Combining factors and shifting tilts could be the best strategy according to some analysts. 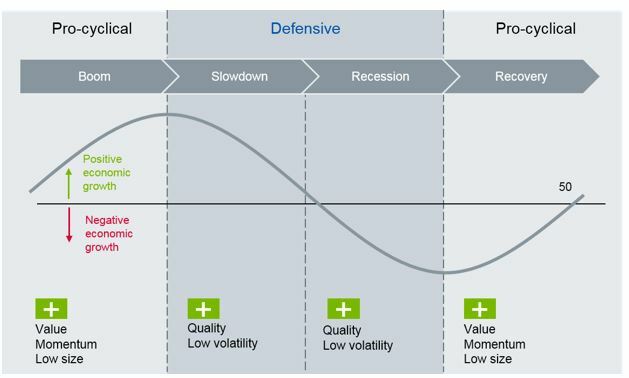 The management firm DWS notes that different factors work well at different points in the market cycle. 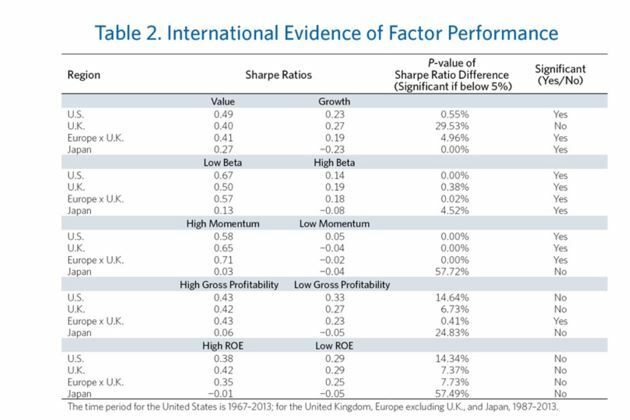 Factor investing is not always easy to implement. There are perhaps hundreds of factors, or at least there are hundreds of papers that have been published claiming to have identified factors. Not all have been duplicated or demonstrated to hold up over time. There are now so many factors some prominent researchers call the current state of research a “factor zoo” and additional research is being done to isolate the factors that truly boost performance or reduce risk. Individuals may find it profitable to research factors and tilt, or overweight, their portfolio in a way that maximizes exposure to the characteristics they are most comfortable having exposure to. This could increase profits or reduce risk and both of those are important portfolio goals. But just as it is with any other investment strategy, factor investing does not guarantee higher return or less risk. At times, exposure to factors could result in extended periods of underperformance which could include large losses. Considering the risks, this could still be an important area of research for individual investors.